On this week’s story on Superstars of The Stage let me introduceTina Jaxén. This romantic singer songwriter was born February 14th in 1997, in Skåne, Sweden. She is quite the romantic, as that birth date suits her well, and with 14 being her lucky number, perhaps it is in her destiny. As the haunting and mythical style vocalists, Jasmine Thompson, comes up on 900 thousand youtube subscribers; it is now time to Take Cover! That is right, on December the 9th, Jasmine will come out with her new EP entitled Take Cover. It will feature the acoustic version of her new hit Sun Goes Down with Robin Schulz. Their original incidentally reached number 2 in the singles charts in Germany and charted in many other countries. Another song on the EP will be her cover of Riptide by Vance Joy. In this song she delivers a lively and very velvet sound and then a very caressing and soft touch with Stay With Me by Sam Smith. In addition to that, Jasmine comes through with a very inspirational performance with Chandelier by Sia, and in the spirit of the upcoming season she added “Do You Wanna Build a Snowman” from the film Frozen, which she does an amazing vocal performance as you will see with the following video. Also, you will notice she applies a very heart warming, yet lonely effect. 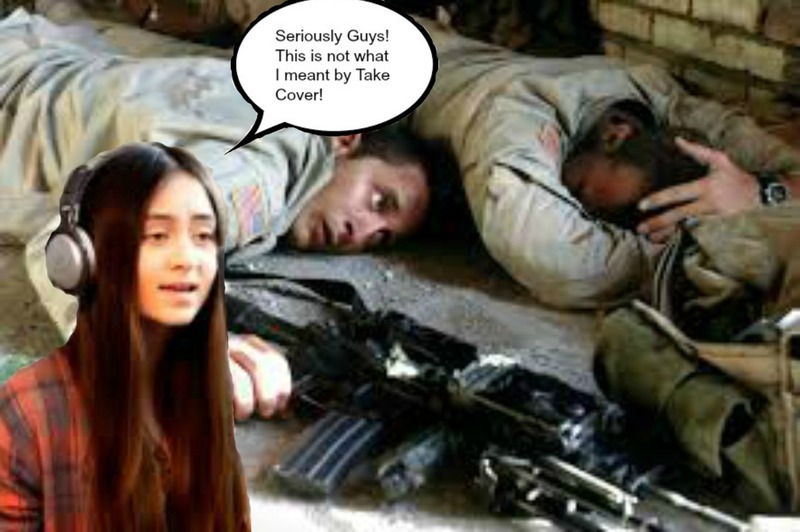 Links to order the new EP Take Cover by Jasmine Thompson can be found below. Don’t miss the sensational Jasmine Thompson. She has the voice that continues to become more addictive the more times you listen to it. Her popularity is rising on the charts in 9 countries with “Sun Goes Down” with Robin Shulz, which is currently at number 2 and 4 in the German and Swiss singles charts respectively. Jasmine is amazing here with this cover of Riptide by Vance Joy. For more on Jasmine Thompson read here. The twelve year old musical theater sensation, Hannah Richardson performs Saturday, November 1st at the Symphony Hall in Springfield, Massachusetts. The opportunity for over 2,500 people is now, but tickets are already selling fast. It will be an amazing show. Here, in this video, Hannah performs with this live cover of Let It Go by Idina Menzel. Who is amazing at singing, acting, martial arts, gymnastics, dancing, piano, modeling, and is going to play the lead role of Fang in the upcoming feature film Atlanta Vampire Movie? Yeah, the answer is the phenomenally beautiful Elena House. Here she sings Only Time by Enya. Read more about Elena House here. Ali Brusofski has such an electrifying voice, full of zest, that brings excitement to a large variety of songs. Right here she delivers an incredible performance with this cover of Jealous by Nick Jonas. The amazing Sapphire has done it again! With her magnificent vocals and overall talent, this charming and beautiful young lady keeps rolling out amazing videos on youtube. Here, she is absolutely brilliant with this cover of Shake It Off by Taylor Swift. Kieran Alleyne creates this spectacular display of talent with this great cover. The Amazing eleven year old Sapphire delivers this emotional performance. She is absolutely brilliant with this cover of Glow by Ella Henderson. Jasmine Thompson, who is known for her unique and haunting voice, shows here a great display of continuing to have the same incredible, unique quality that only she can deliver, while still having amazing variety and range with this live performance at The Bedford in London. Read more. Read more on Jasmine here. The remarkable talent, Sam Tsui collaborates with The YMCA Jerusalem Youth Chorus, which is a choir and dialogue program for Israeli and Palestinian High School students in Jerusalem. Here they perform Home by Phillip LaDon Phillips, Jr. This is a fantastic and very brilliant performance by 11 year old Sapphire. She uses dazzling charm, as well as great talent, to deliver remarkable entertainment, with this cover of Oh Cecilia by The Vamps. Jasmine Thompson delivers this cover, The Days by Avicii, with amazing presentation that makes you feel the essence of the song. It is a very encouraging song, about when faced by heart ache and regrets, of remembering the value of making the best of your life when you have the chance. Jasmine sings this song with such warm, soothing, enchantment that you can really feel it. Read More. Also see article on Jasmine here. As Jasmine Thompson’s new song with Robin Schulz called Sun Goes Down has reached #1 in Itunes dance charts in Germany, what will be next, now that it has been released everywhere on iTunes? Available here. Read Article on Jasmine here.